Membership in the Aberdeen Driftbusters Snowmobile Club is a life time experience. Great family fun and offered to interested people on a family basis at $30.00 per family, couple or individual per year. 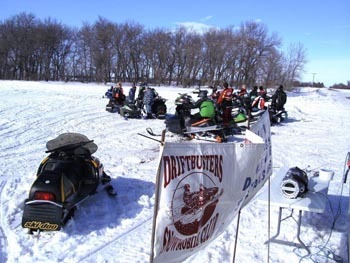 By joining the Aberdeen Driftbusters Snowmobile Club, you also become a member of the South Dakota Snowmobile Association (SDSA). SDSA is the Snowmobiler’s Voice and represents you at local, state and national levels on issues that affect snowmobiling. We are represented on the SDSA board, by our District 3 Director. SDSA publishes the Sno-Plainsman during September through March which is delivered to your home to keep you informed on snowmobiling issues, activities, and events. 2. Download Driftbusters Member Registration form here and send along with a check for $30.